The marine gear pump is a very popular gear oil pump used in general industry, and also in marine industry. 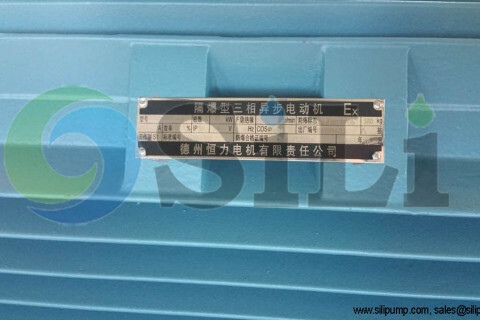 It is widely used on board ships & vessels and offshore platform. And the KCB series marine gear pump is the most popular gear oil pump in China. 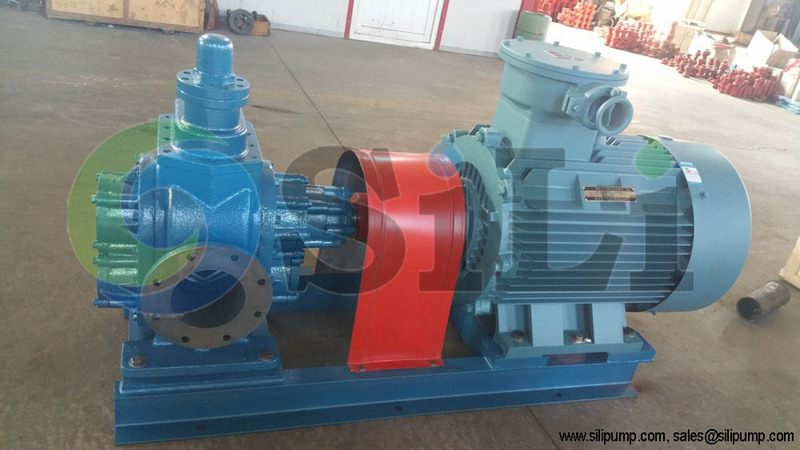 Because of its reliable performance and simple structure, it is widely used as a fuel oil pump or lube oil pump, such as HFO and MDO transfer pump, circulation pump, supply pump and so on. 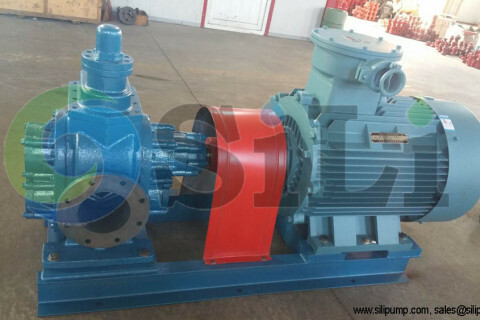 Usually the marine gear pump price is much competitive than twin screw oil pump or three screw oil pump. So the KCB marine gear oil pump is an ideal equipment or material for handling oil liquid in marine industry. In this case, an Indonesia client requested two pcs of KCB marine gear oil pump, with large pump capacity, 110m3/h, inlet and outlet flange, DN150mm, and motor power 45kw. Motor is in explosion-proof type. 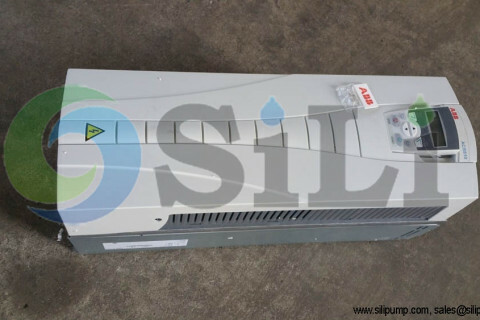 Besides, client also order an ABB frequency convertor or starter, strainer and flow meter and so on. 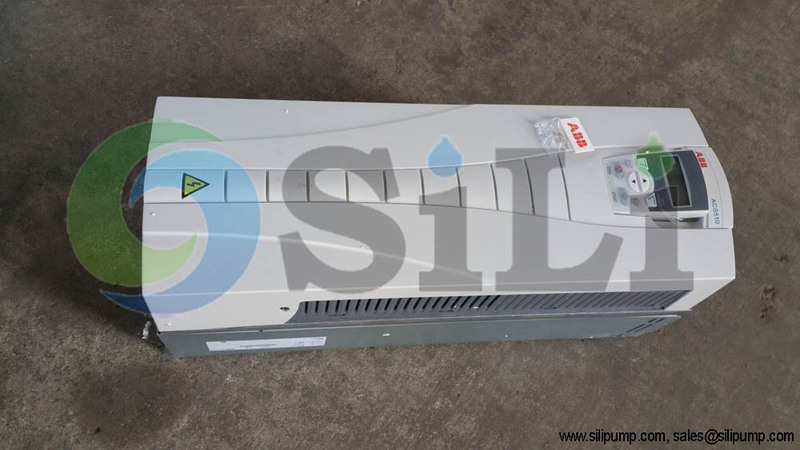 The pump is used onsides a oil barge, and we will update if the there is any feedback from clients sides. 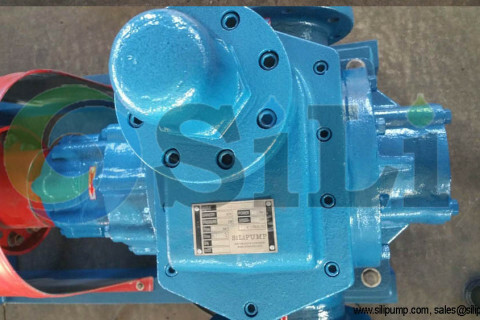 The SILI KCB marine gear pump is a kind of horizontal positive displacement pump. 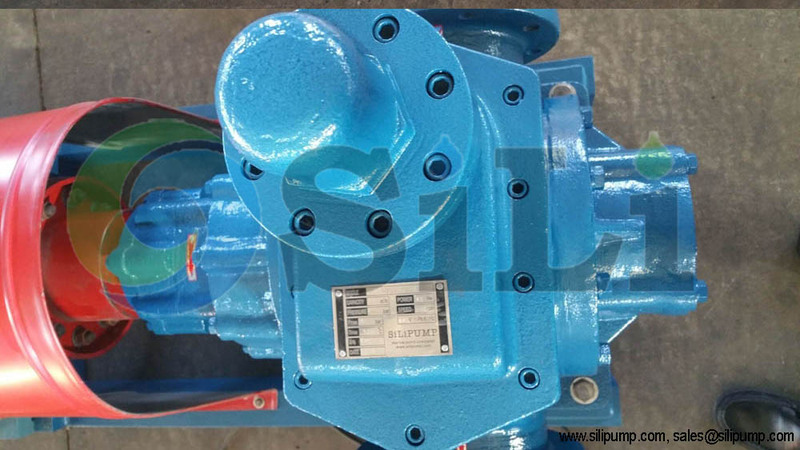 It is also a kind of external gear oil pump. These gear oil pumps use two identical gears rotating against with each other, the driving gear operates the idler gear. Liquid flows into the cavity of the teeth and is directed and pressurized toward the discharge port by the gear rotation. KCB marine gear pump is suitable for oil max temp 100 degree, viscosity range 5 to 1000cst. Typical application of KCB marine gear oil pump on board ship or vessel are supply of HFO., MDO, L.O., diesel oil, or even petrol, benzene transfer and supply and so on. Refer to more details from right link onsides the KCB gear pump catalogue. Specification and manual. KCB gear pump spare parts can be also available in our sides. a. 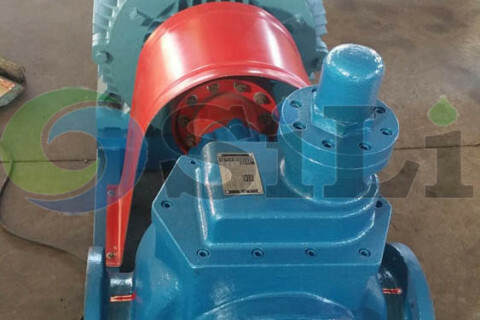 Coupled gear set with high quality carbon steel. Stainless steel or bronze material gear can be also available. b. Each gear fitted on a shaft is supported by two internal quality bearings immersed in the liquid, such as sliding bearing or rolling bearing. There are no external bearings for this kind of marine gear pump. c. Pump mechanical seal. Soft packing seal can be also provided as per requested. e. Pumps are driven with electric motors through elastic coupling. 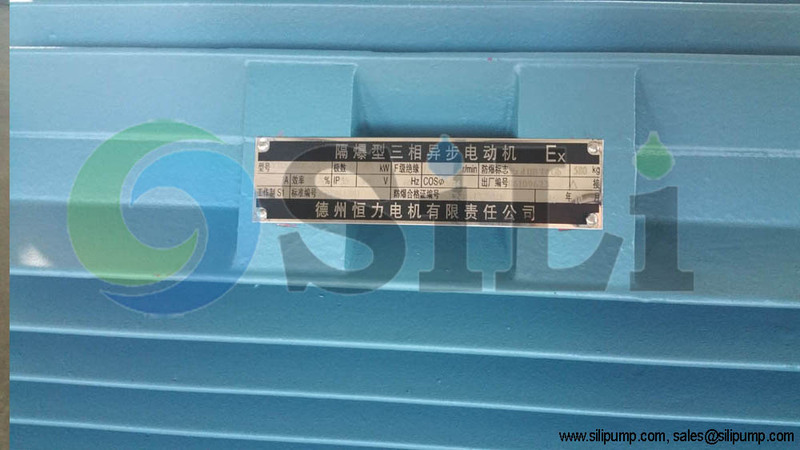 Explosion-proof motor can be provided as an option. f. With built-in relief valve, to protect pump and pipe system for over-pressure. g. Good self-priming function, suction head about 5 meter. h. Self-lubrication, there is no need for extra lub. oil. i. Screw port for small size pump, to model KCB-83.3/0.33. Flange port for big size pump, KCB-135/0.33, from model KCB-135/0.33. Refer to more pump and pump spare parts details from the KCB marine gear pump catalogue. 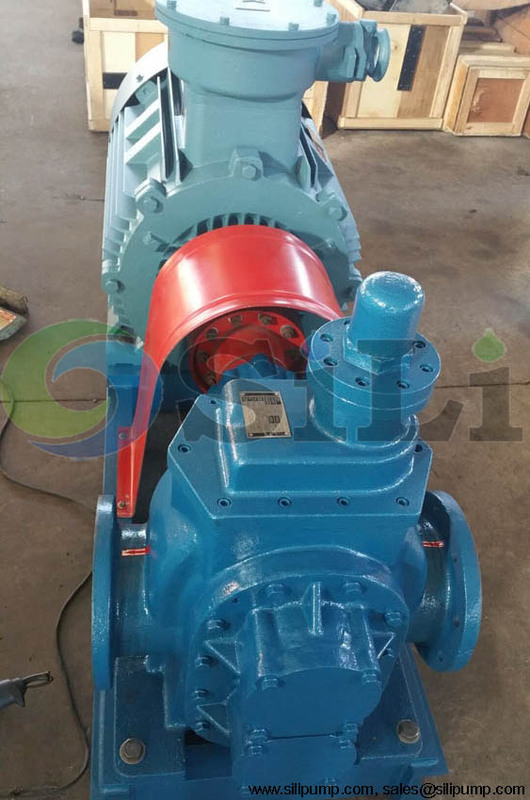 And contact us more information for pump specification, manual, installation dimension and so on. Refer to more pump information for KCB marine gear pump.